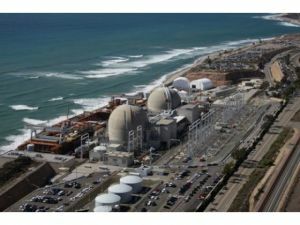 San Onofre nuclear generating station (SONGS), right, hasn't been generating power since 5:31 p.m. Tuesday, when Southern California Edison shut down its Unit 3 reactor ---- one of two reactors ---- announcing that operators had detected a leak in one of two giant heat exchangers installed in 2010. The leak could be a safety concern because it allows water that can can contain radioactive particles to mix with clean water used to make steam. The steam travels outside the protective concrete domes that are designed to protect the public from a radiation release. Once it leaves the radioactive side of the plant, the water can evaporate and travel through the plant's electricity-generating turbines. Given that the new components were supposed to last for decades, industry experts were quick to question why the expensive equipment was already leaking at a rate of between 50 and 100 gallons per day. 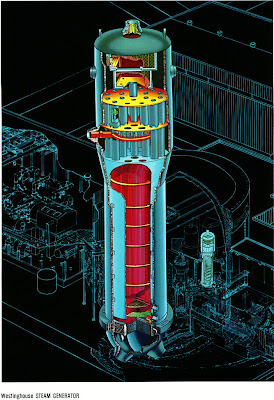 At the time the leak was detected, San Onofre's other reactor ----- Unit 2 ----- was already shut down for refueling and maintenance. The vertical steam generators generally have a feedwater ring supply header on the outer edge of the steam generator. The water is directed downward and flows along a wrapper sheet then is directed upwards to flow along the steam generator tubes where the water picks up heat, increasing in temperature until boiling occurs and the water is converted to steam. In the upper part of the steam generator is a moisture separator region which forces the steam-water mixture through channels which allow steam to pass, but not water. A vane arrangement in these steam generators also force a swirling action that enhances the steam-water separation. The water supplied to the steam generators must be very pure, free of particles, and chemicals. In the boiling environment of the steam generator these chemicals can concentrate resulting in undesired corrosion. SC Edison began replacing the steam generators at San Onofre in 2009 with new units manufactured by Mitsubishi Heavy Industries. Edison has indicated the new generators would last until the plant's license expires in 2022. But on Tuesday a leak developed in one of the tubes in the number 2 steam steam generator at Unit 3. Radiation monitors detected an increase in radioactivity levels, plant operators diagnosed the leak, and the unit was depowered at 4:30 p.m. and shut down fully at 5:31 p.m. 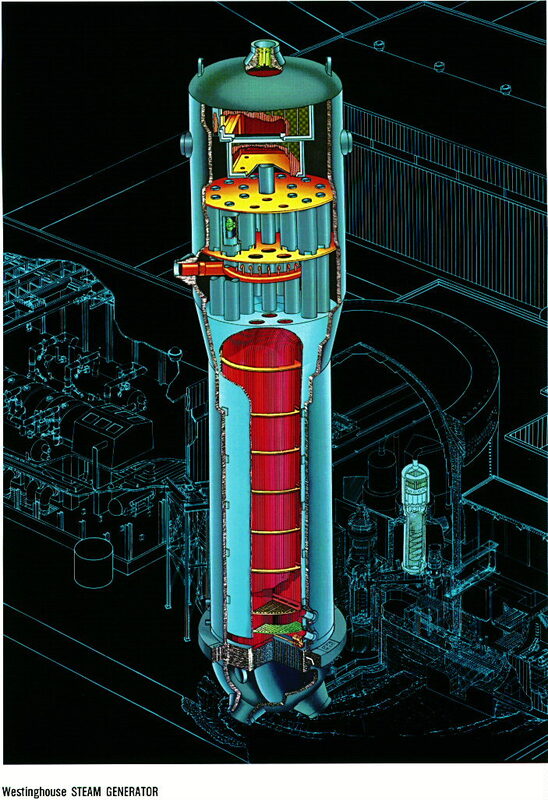 It should be noted that the nuclear power industry, now with 30 years of experience with this problem, is well equipped to plug or sleeve degraded tubes and return the steam generator to service. The generator contains thousands of tubes so even if some must be blocked the generator can still be used. Very nice post. I just stumbled upon your weblog and wanted to mention that I have truly enjoyed surfing around your blog posts. After all I’ll be subscribing on your rss feed and I’m hoping you write once more very soon!Steam Flow Meter: GFM200.